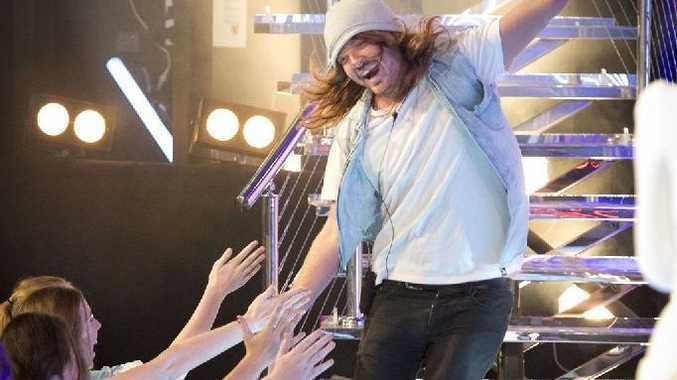 HIS last-minute canoodling might have cost him a spot in tomorrow night's grand final, but Big Brother evictee Michael Beveridge has no regrets. The Brisbane copywriter and former Emerald man copped flack both from his housemates and the public for his hook-up with Melbourne law student Estelle Landy during his final days in the house. The move hurt the feelings of fellow evictee Zoe Westgarth, who was very vocal about her crush on the 26-year-old. "You make your bed and you've got to sleep in it, and Estelle gets to sleep in the bed too and apparently that's the issue," he said. "I'm an idiot in the outside world so I was bound to be an idiot in the Big Brother House. "I've never been known to make a good decision when it comes to women." While the Big Brother love triangle has been broken, Beveridge's bromance with Josh Moore is about to be reignited. The pair is sure to be spotted hanging out on the Gold Coast and in Brisbane after tomorrow's final. "We've got tickets to the cricket on Sunday," Beveridge said. "He's staying at my house until the 16th. We've had glimpses and loving embraces. I had to kick Ava off him, but that's all right. "I can't wait for this whole thing to be over and I can sit down and have a beer (with Josh)." He believes Benjamin Norris will win tomorrow's final, despite Landy's strong public support throughout the show. The 32-year-old is up for the $250,000 grand prize against British beautician Layla Subritzky and Landy. "He's picked up my fans, he's picked up Zoe's fans and Joshy's fans love Ben," he said. "Ben's got some really good plans for the money to help him move ahead with his life. "He obviously wants to have a family, and if having the money will give him the financial security to do that then it's one of the most positive things anyone could get out of a reality show."